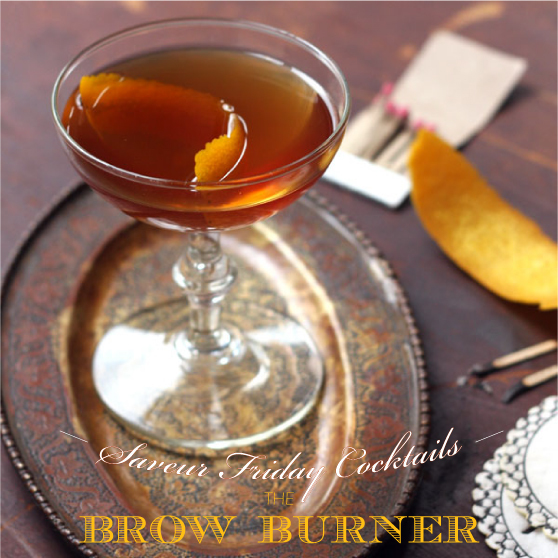 We're pleased to announce our first piece for Saveur magazine, part of their Friday Cocktails series, featuring The Brow Burner created by Steve Wood of John J. Jeffries restaurant in Lancaster, Pennsylvania. This is a cocktail that we love dearly, one that utterly surprised and impressed. A grown-up Scotch and Ginger with a little bit of Rusty Nail mixed in - this cocktail is sure to be a favorite as the leaves change to brilliant hues and the temperature drops. So you're ready for one, you say. Lucky for you, we have the recipe as well! Cocktail hour is upon us and it's time to start mixing.